While some may disagree, I believe everything is better with a little butter. From adding a little to a pan to finish a sauce to spreading butter on a warm roll, the soft, creamy texture add flavor. When serving butter to accompany toast, bread or other items, soft, spreadable butter is optimum. 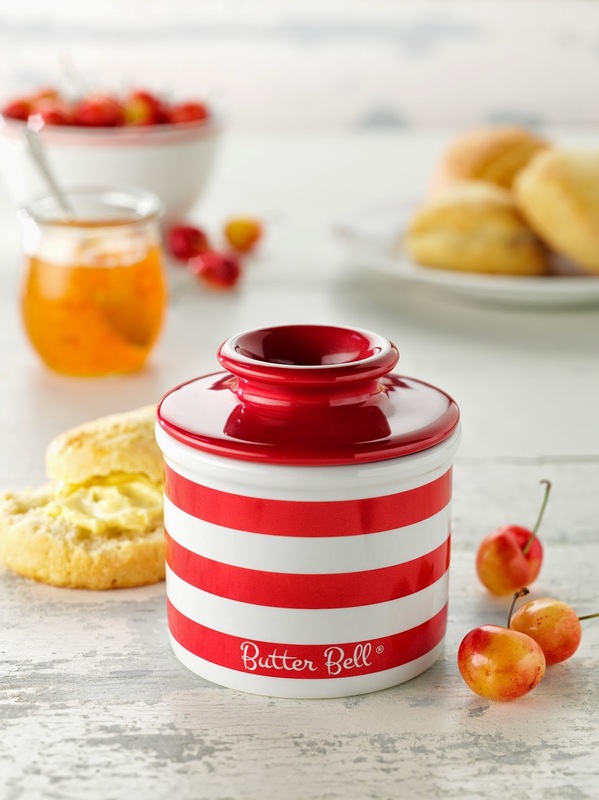 The Butter Bell Crock keeps butter at the perfect spreading consistency. The Butter Bell Crock has an unique design that keeps butter at the perfect “spreading” consistency. By reflecting outside heat, the butter bell crock insulates and cools the butter. With an airtight seal of water at the base of the butter crock, the flavor and freshness of the butter is protected. 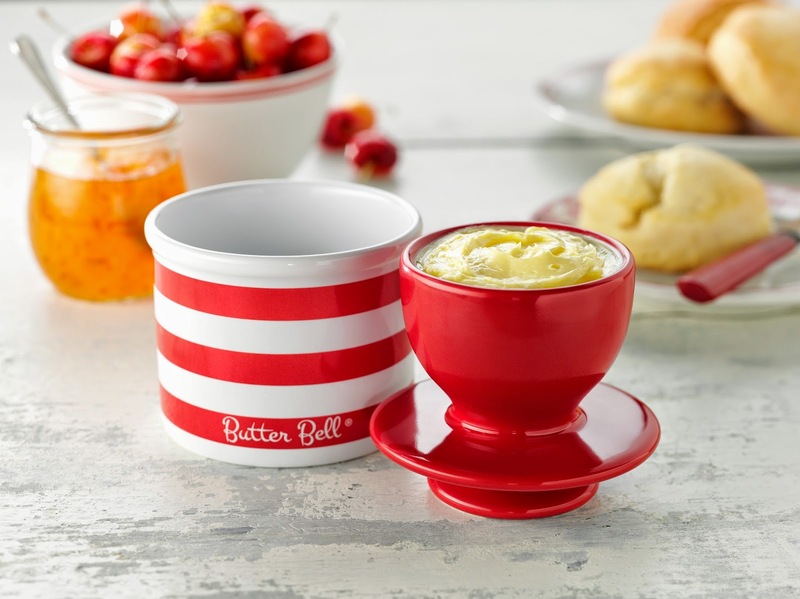 For butter lovers, the Butter Bell Crock can hold up to one full stick or 1/2 cup of butter. The softened butter is packed firmly into the bell-shaped cup of the lid. Cold water is poured into the base of the crock. The lid is then placed upside down back into the base of the crock. Soft, spreadable butter may be enjoyed and served right from the crock. The butter crock should be properly maintained. Every three days the water should be replaced. Cold, fresh water should be used in the base. The Butter Bell crocks are 4 inches in height and 3.5 inches in diameter. Multiple styles and colors are available. For many mom's, a perfect Mother's Day gift is a new kitchen item. Butter Bell crocks have a Mother's Day special that everyone will enjoy. For every two Butter Bell crocks that you purchase, you get a free crock. This offer is available from April 2 through May 15, 2014. For more information on this offer, please visit www.butterbell.com. Would you like to try a Butter Bell Crock for yourself? I have one to give away. Please use the Rafflecopter to enter.